Italian oxidized silver plate rosary center featuring a Sacred Heart with Mother Mary on the back. Please take a peek at the picture before purchasing to see the details. Sized at approximately 7/8 inch tall (including bottom loop) by a little over 5/8 inch wide. 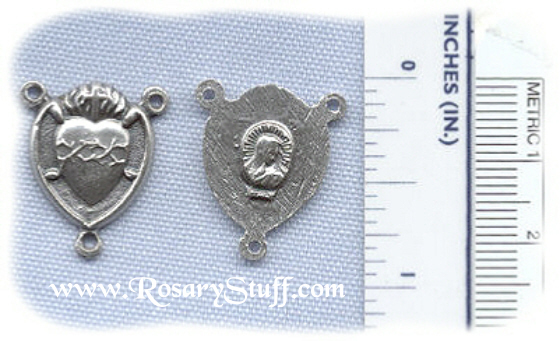 Price is for 1 rosary center.